It is very difficult to separate the emotional attachment you have for your home from the financial investment. You have spent a lot of your life in that building and there are many memories. However, when you make the decision to sell, do your best to balance your emotions with this extremely important financial decision. This piece of property is one of, if not your largest, financial asset. Treat it as such. Help your agent market your property. Remember, this house is a product you must sell, much like a commodity on a financial market. The first thing you MUST do is get rid of the clutter. What to you is a comfortable home, to a prospective buyer is a house filled with clutter. If you have a few extra pieces of furniture, give them away or toss them. If you really want them when you move, rent a storage unit. Yes, RENT A STORAGE UNIT! It won’t cost you much, but it will return thousands in added value. First impressions matter. Nice landscaping and an uncluttered entranceway make this house attractive from the moment a buyer pulls into the driveway. 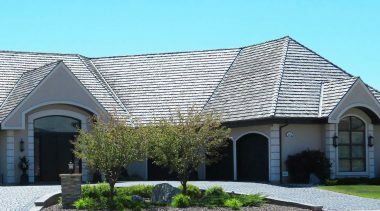 The first impression that your home gives is the entrance. Buy a nice new welcome mat and clean the door and entrance way. Paint the front door and/or entranceway if necessary. Make sure the latch and lock work easily and oil the door and lock if needed. Visit a few model homes and you will see why this is so important. Model homes look great! They make you want to buy one and move right in! They are uncluttered and if there are few, if any photos. You must make the prospective buyer see your house as their home. They already feel uncomfortable when they visit your home. They feel like they are “imposing” upon you. Too many of your personal items will make it hard for them to see their children playing in the den, or to see themselves relaxing there. You want them to perceive the home as open and inviting, and ready for them to move in and make it their own. 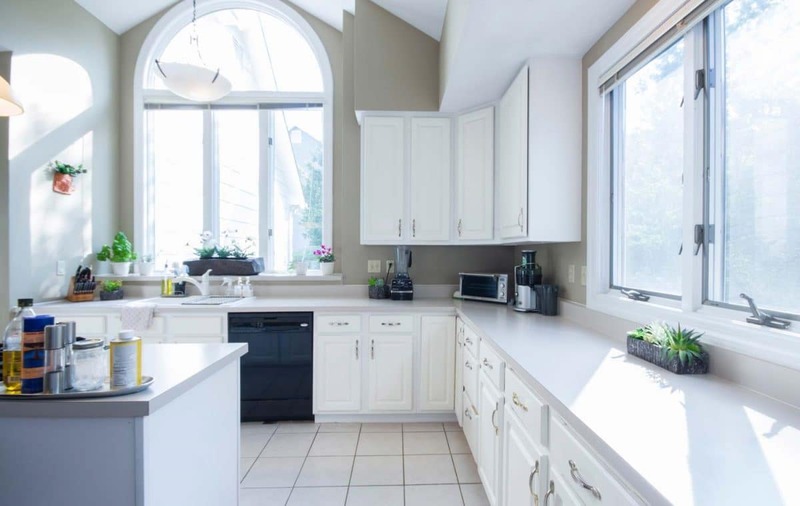 Clean, welcoming and uncluttered is the look you are going for when preparing your home to sell. The kitchen and living room are the rooms that most easily collect clutter. Ask a friend or relative to help you remove the clutter. They will have an objective eye and tell you what should go. Tell them to be brutally honest because you are trying to sell the house and it has to look great. Clean out the kitchen cabinets and drawers. Every kitchen has a junk drawer. Why do you think you call it that? Get rid of the junk! Take everything out of the cabinets and wash them. Wipe off the cans and bottles before you put them back and if you have two open bottles of the same thing, throw one out. Wipe down all grease spatters. Clean the exterior and interior of all appliances. Replace appliance lightbulbs if needed. Clean or replace burner pans on the stovetop. Remove those treasured children’s drawings from the fridge door. (Of course you’ll want to save them to take with you to your new home, but they don’t belong on the fridge when potential buyers are viewing your home.) Clean out the fridge and put some baking soda inside to absorb odors. In the living room get rid of old newspapers and magazines. Toss that comfortable old, smelly ottoman. Take down most of the family photos and dust everything. Leave a lamp on when you show the house. Most people have too much furniture in their homes. That gives the illusion that the house is small. If you are going to keep it, put it in the storage building. Go through every closet and toss what you don’t need. Anything you can do without until you move, put in the storage unit. You will not get a fair price for your house if buyers think there is too little closet space. An almost empty closet always looks bigger! 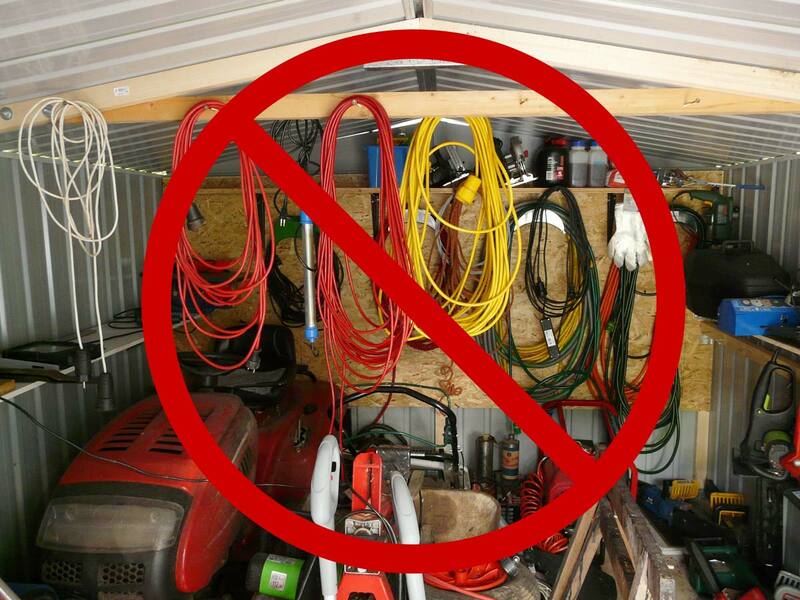 Garages and storage sheds need to be cleaned and decluttered just like the rest of your home. Get rid of everything you do not absolutely need, or put it in an off-site storage unit until your move. Empty the garage! Have a garage sale. Get rid of anything you don’t need and put the rest in the storage building. Clean up any oil stains and put greasy dirty tools and equipment in storage. Clear out any storage sheds or outbuildings. Pressure wash the driveway if needed. If you have a pool, keep it sparkling clean, and de-clutter the pool deck. Keep skimmers and other pool equipment tucked away out of sight. Repair any torn or missing screens in your pool cage, replace old, worn, or dirty deck furniture or cushions.